Now here’s something that I did not know and perhaps you didn’t either. And even if you did perhaps it’s good to be reminded. The man they’re talking about is Edward Bernays (never heard of him before now) one of the most influential people of the 20th century. So few have heard of this man who has manipulated much of western society into compliance. His philosophies and understanding of the human psyche still shape public policy, political campaigns, and corporate integration to this day. 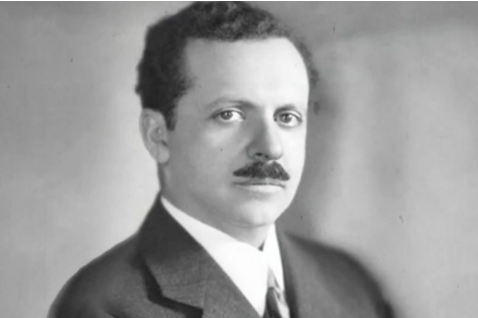 How corporations deliver their messages, how politicians coerce citizens to believe and enter into phoney wars, how terrorism is promoted and engenders fear into the masses, and how Think Tanks are used to manipulate citizens were all in the realm of Edward Bernays. hmmmm…. He happens to be Freud’s nephew! I am not a fan of Sigmund Freud. I found this article on this website collective-evolution.com (and I love this footnote) powered by a Bunch of Crisp Kids and as for copyright…who needs a copyright? they say. Scary stuff…scary because the majority live in total ignorance of being manipulated. They really live in a fantasy world where they think they’re free, masters of their decisions, making their own choices. If you’re one of the few who have not watched the movie The Matrix, then it’s time you did. Are you one of the zombies walking around asleep? Many are waking up but it’s still not enough we need many more, many more, to WAKE UP! This entry was posted in activists, advertisiing, Aquarian Age, balance, consciousness, conspiracy theories, cosmic laws, depression, dream, Education, empowerment, energy, enlightenment, goodness, goodwill, harmony, health, heart consciousness, history, human rights, intelligence, intuition, justice, mind, miracles, movies, music, peace, physics, Piscaen Age, politics, Religion, sacred geometry, Spiritual, terrorism, third world, unity consciousness, universe, women, Youth and tagged advertising, choices, citizens, cosmic laws, Education, emotions, freedom, freud, ignorance, manipulation, marketing, masses, mind control, psychology, terrorism, wars, youth on 27/06/2015 by mkirtikarphd.